The attackers remain unidentified, but are probably Hindus. 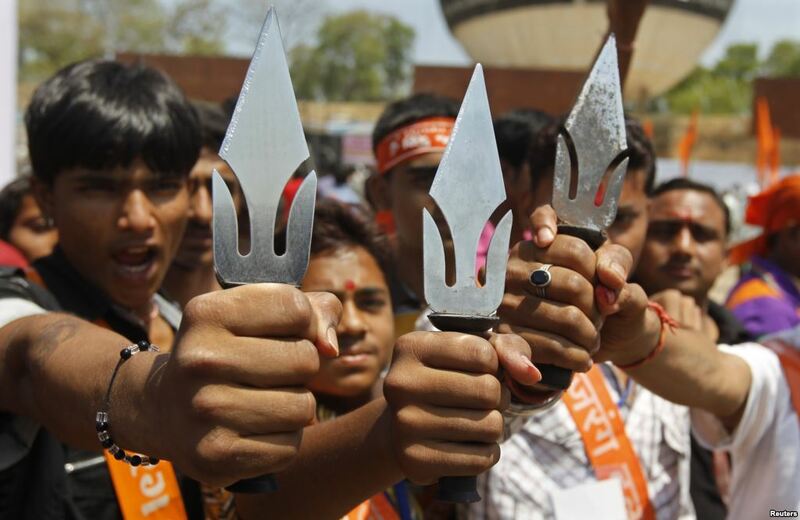 They beat up the family and forced them to sing "Jai Sri Ram", or "Victory to Ram". Then they burned the church and also threw petrol on the Christians. Recently there has been a similar attack against another Pentecostal group. State applies anti-conversion law and many local councils have banned all non-Hindu religious events. Raipur (AsiaNews) - Two unidentified criminals, but in all likelihood Hindu extremists, broke into the Pentecostal Church of Tokapal, in the Bastar in Chhattisgarh, and wildly beat the pastor and his wife who is seven months pregnant. The pastors two little children were not even spared in the attack but were pushed about forcefully. The attackers burned the church and threw gasoline on the Christians, trying to set fire to them. The pastor and his family however managed to escape. Commenting on this latest attack to AsiaNews, Sajan K George, president of the Global Council of Indian Christians, condemns "the unjustified assault on the innocent pastor, his wife and children. The tiny Pentecostal community in Chhattisgarh is under constant intimidation and threats by the henchmen of the right-wing extremist groups, who target innocent Christians even while they are saying prayers. " The attack took place Sunday, April 17. The two attackers broke into the house within the church, armed with knife, hammer and ax. They first wildly beat the Christian family, then tore the Bible and readings, sprinkled everywhere with gasoline and set the place on fire. They also wanted to burn the pastor and his wife, who managed to save themselves by fleeing from the house. The extremists forced Christians to sing "Jai Sri Ram" [ "Victory to the god Ram", ed]. The incident is the second episode in the space of a month in the Indian state. In mid-March a group of 20 Hindu radicals dressed with saffron headgear broke into the Pentecostal church of the village of Kachna. Shouting "Jai Sri Ram", they disrupted the prayer function, beating up the approximately 65 worshipers, including women, and destroying everything in their path. Sajan K George's claims that the attacks are justified by accusations against the Christians of forced conversion. "India is a secular country - he continues - but in Chhattisgarh they exploit the Freedom of Religion Bill to beat up the Christians and accuse those who pray to Jesus of a criminal act ''. The Chhattisgarh Religion Freedom Act 2006 is an anti-conversion law in force in the State, which prevents conversions from Hinduism to other religions, but not vice-versa. Also several panchayat [local councils] of Tokapal, concludes the Christian leader, "approved an ordinance, within section 129 (G) of the Chhattisgarh Panchayat Raj Act, which also bans all forms of propaganda, prayer and non-Hindu religious discourses in the villages".